Freshman year, I scored a job at Residential Computing, UC Berkeley’s student-run internet service provider, as a web designer. 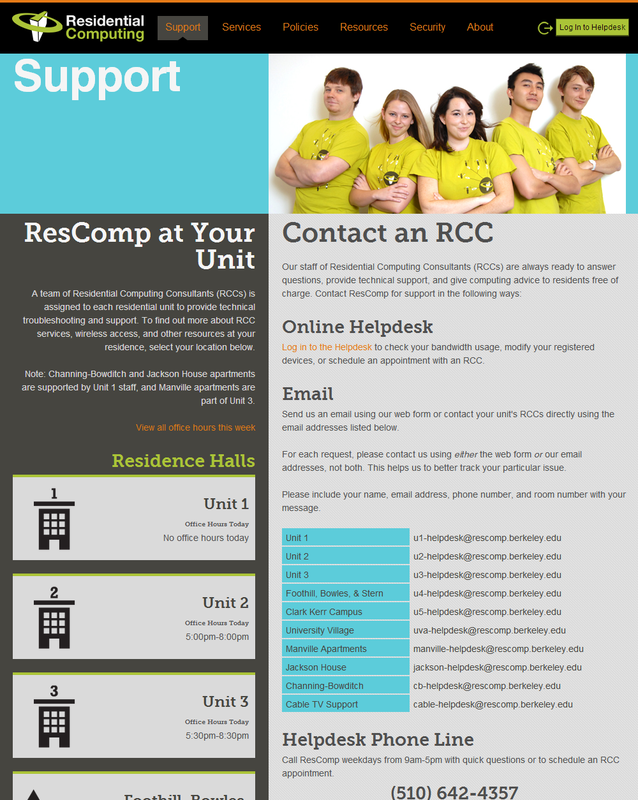 Worked with Rescomp’s Marketing Team to redesign branding and image across web and print publications. Migrated legacy internal tools to the new design. 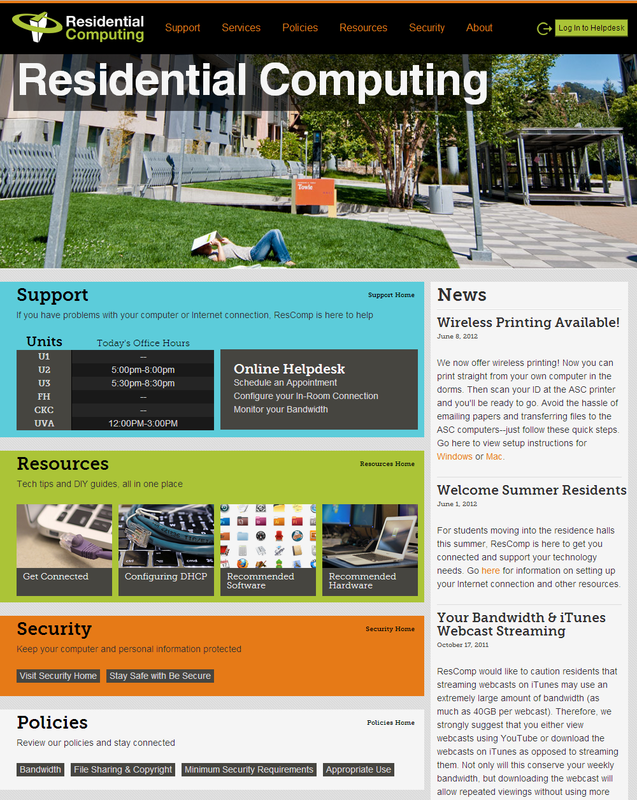 Residential Computing supports broadband, reliable network connections throughout the residence halls and campus apartments, including wireless connectivity in dining facilities and many other common spaces. Our staff, primarily made up of Berkeley students, provide knowledgeable, friendly, and responsive technical support to our residential clients for their network connections, computing needs, and cable TV service. Our customers include undergraduate and graduate students, family housing residents, live-in faculty, and conference guests. Our primary goal is to ensure that our clients can fully utilize network resources for their academic and personal needs through our provision of in-room Internet and wireless access, as well as technology resources in each unit’s Academic Services Center (ASC). We are continually available to residents through timely phone, email, and in-person support to help resolve any technical issues that may arise. We ensure that all computers connected to the network meet campus minimum security standards, and we continually work to educate all residents about bandwidth policy, the importance of using legal services to obtain digital media, and about smart and safe use of technical resources.